"Dreadfully sorry to learn of your loss. 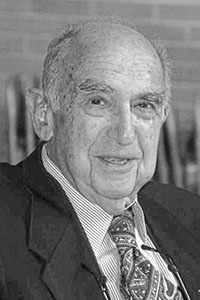 We were colleagues..."
"I am so sorry to hear of Marvin's death, but marvel at such..."
ROCKPORT - Marvin Leon Kolkin passed away peacefully, February 8, 2019, at the age of 94. He was a founding member of the Society of Thoracic Surgeons and had a distinguished medical career in Montgomery County, Md., where he served as chief of surgery at Holy Cross Hospital and Montgomery General Hospital. He loved boating, fishing and flying. Marvin and his wife moved to Maine in 1996 and he happily spent the rest of his life at the home they built on the Midcoast. He is survived by Caryl, his loving wife of 71 years; and his adoring children, Kathie, Mitchell, Cee, Jon, Anne and Seth; his grandchildren Hannah, Tap, Charlie, Melanie, Laira, Joe, Jocelyn, Zach, and Nick; and great-grandchildren, Stauffs, Key and Josh. A funeral service will be held at Adas Yoshuron Synagogue at 2 p.m. on Monday February 11. In lieu of flowers you may honor Marvin's memory by supporting Adas Yoshuron Synagogue in Rockland, or Bay Chamber Concerts in Rockport.